Justice For Children and Youth (JFCY): Acting your age: Borrowed and "Fake" I.D. Spotting a local restaurant pub, Eric and his friends decided to grab a seat and order some wings. While waiting for their food to arrive, one of Eric's friends, James, says, "Let's get some beer!" Eric is hesitant because none of them are of legal drinking age but all his friends are jostling each other enthusiastically saying. "Ya! Let's have some fun!...Come on, everyone else is drinking! They'll never know...we look old enough!" All of sudden, James says to Eric, "Hey, didn't you just borrow your cousin's ID? You guys look alike...go order some beer from the bar!" Feeling the pressure from his friends, Eric gets up nervously and approaches the bar. He has never ordered beer before and looks around nervously as he asks the bartender for a pitcher of beer. Sceptical, the bartender asks Eric for identification. Eric pulls out his cousin's driver’s license and hands it over. The bartender inspects it cautiously and asks Eric for his address and date of birth. "Uh..May 24, 1991...and um..." replies Eric, unable to repeat the correct address. Instantly, the bartender realizes that the ID is borrowed, hands it back to Eric and calls the restaurant manager owner over. Eric stands frozen to the spot, not knowing what to do or what the repercussions will be. What are the possible legal consequences? Eric may be charged under section 361 of the Criminal Code of Canada for False Pretences. In this situation, Eric represented himself as the cousin knowing clearly that he is not, and made this representation with the intent to deceive in order to convince the bartender that he is of age to purchase alcohol. The restaurant owner may give Eric a warning and let him off, remove him from the bar, and/or call the police. If the restaurant owner calls the police, he can hold you at the restaurant (however not forcibly) until the police arrive. The police may consider other options other than charges when faced with a youth presenting false ID, such as giving a warning, caution or referral to community programming. But they can also charge you and make you attend court. Eric’s cousin could also get charged, if he gave Eric the ID knowing that he would use it to try and get alcohol while under age. 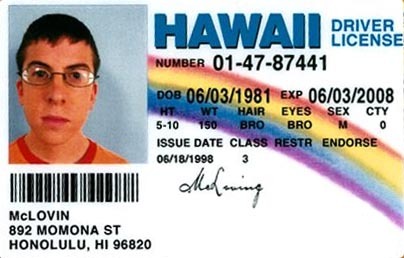 Using “fake” IDs (where you have your photo, name and address on a manufactured card with a false birthdate) can also get you charged if you use them to try and get alcohol while under age. An Ontario law called the Liquor License Act says that people under age 19 are not allowed to have, drink or purchase alcohol. It is also illegal for someone to provide alcohol to people under age 19. However, there is an exception in that parents are permitted to give alcohol to their own under-age children at home under parental supervision, without them or the kids being charged. That is the only situation where it would be legal for someone to supply alcohol to a minor and legal for the minor to consume alcohol. It is never legal for a bartender to provide alcohol to a minor. If there are reasonable grounds to believe someone is buying for a minor, the Liquor Licence Act gives the bartender the right and responsibility to refuse the sale. Both individual people and corporations (ie bars) can be charged under the Liquor License Act and made to appear in Provincial Offences Court.